Harihar fort is an important one in the history of the region as it is on the route connecting the states of Maharashtra and Gujarat. But what you'll really remember Harihar for is the shiver that goes through you when you look down at the 500 foot drops below you while your feet slide on mossy rocks, or when roaring winds tug at your clothes on the Harihar fort trek! 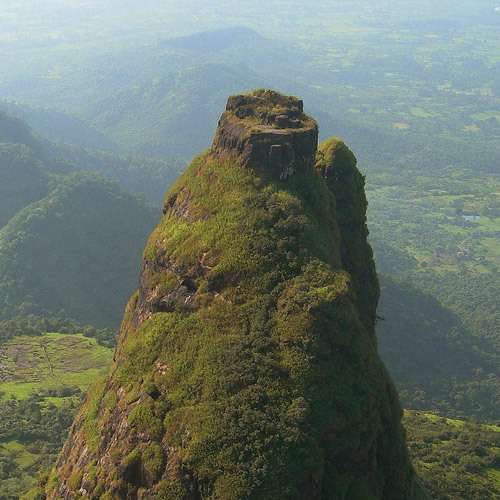 Harihar fort lies in the Trimbakeshwar mountain range, close to Igatpuri in Maharashtra. 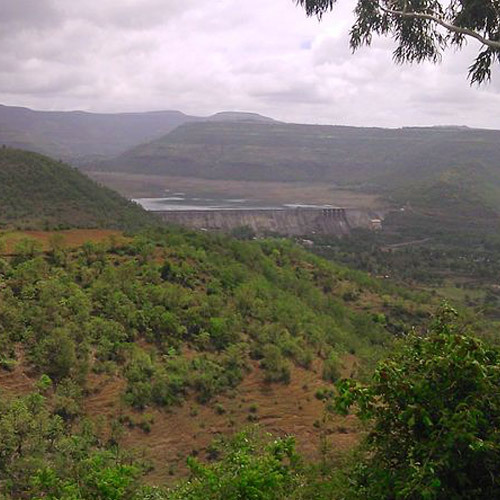 It is situated at an elevation of over 3500 feet and offers spectacular views of the landscape around. The fort lies on a triangular rock, with a tapering top and the Harihar fort trek takes you up a steeply sloping staircase. The three faces of the triangular prism and two ridges are at a jaw-dropping, 90 degrees vertical angle and is virtually impregnable. The third ridge is at a vertical of 75 degrees. This is the only way to get into Harihar fort and it’s a thrilling climb up a one meter rock staircase of over 117 steps. There are niches for your fingers; to hold onto the rock at most places to help you climb. For the final 200 feet on the Harihar fort trek, just before the summit, you'll be negotiating rough rock-hewn steps that are very steep. At some places the stairs are so narrow, only one person can cross at a time. The ground under your feet may be covered with moss, and there is likely, a constant trickle of water over them. In addition, the winds are fairly strong here, and you'll be battling to stay upright and maintain your balance. 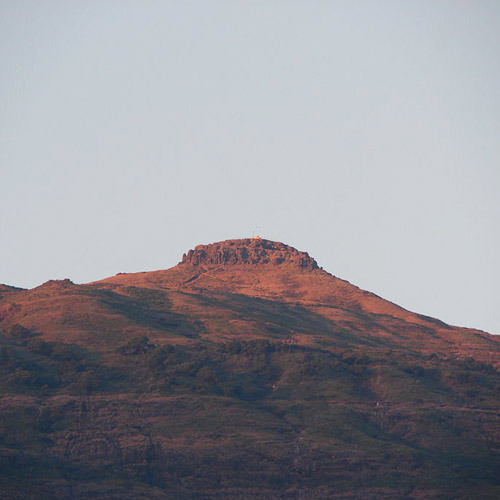 Harihar fort is on the list of every ambitious trekker in Maharashtra, and it gives you real bragging rights once done. The climb to the plateau winds through rain-soaked greenery and offers great views. The highlight, however, is the pinnacle at the top. 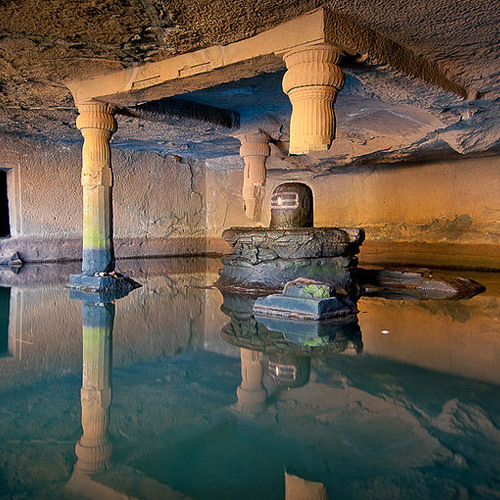 Once at the top, Harihar fort has a clear pond and a beautifully decorated Hanuman temple. In any season, this is a hard trek, but in the monsoon, the draining water, the forceful winds, and the moss-covered steps make this a thrilling trek for even experienced trekkers. You'll also enjoy the experience of travelling during the night and reaching your start point in the early morning hours. Think you're ready for a thrill-a-minute trek? 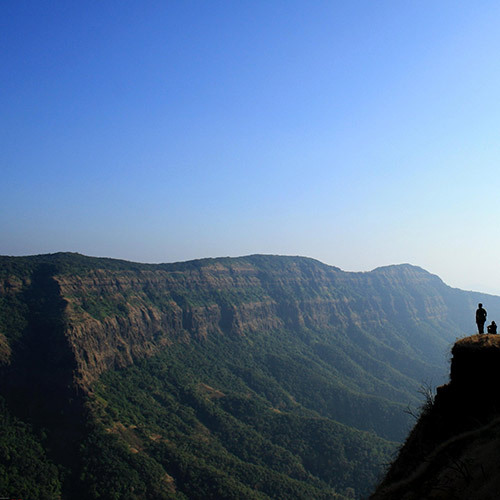 Then this trek to Harihar fort is perfect for you! Harihar fort is built on a triangular rock surface, and has a steep climb that can get quite challenging, especially in the rains. For the final 200 feet just before the summit, you'll be negotiating rough rock-hewn steps that are very steep. The ground under your feet is covered with moss, and there is a constant trickle of water over them. In addition, the winds are fairly strong here, and you'll be battling to stay upright and maintain your balance. 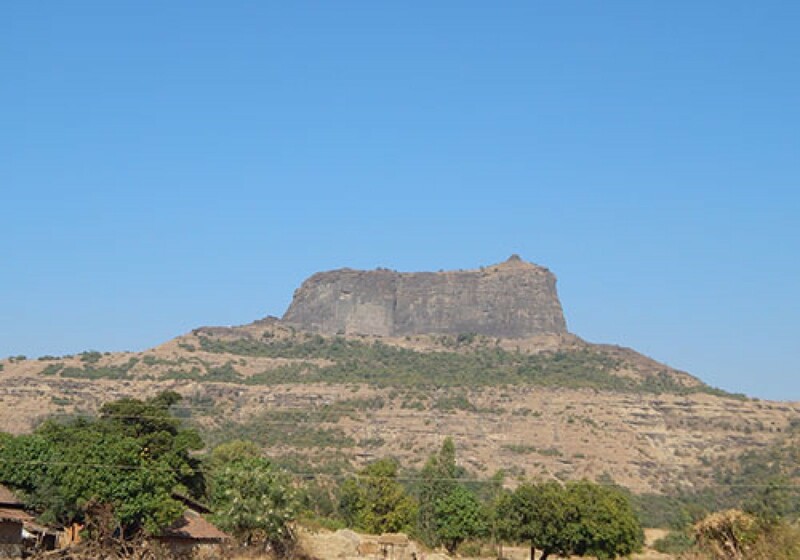 Harihar fort lies in the Trimbakeshwar mountain range, close to Igatpuri. 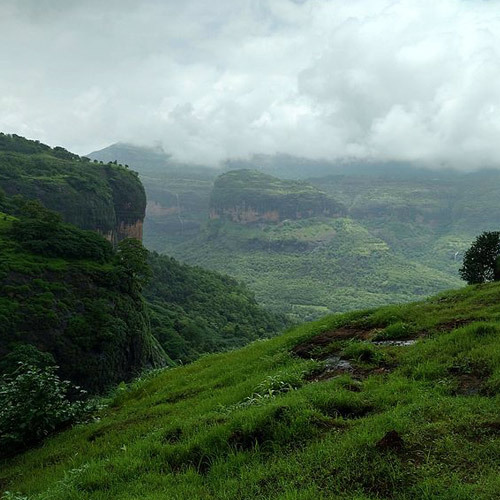 The trek to Harihar fort takes you to an elevation of over 3,500 feet and offers spectacular views of the landscape around, and the sheer drop below. 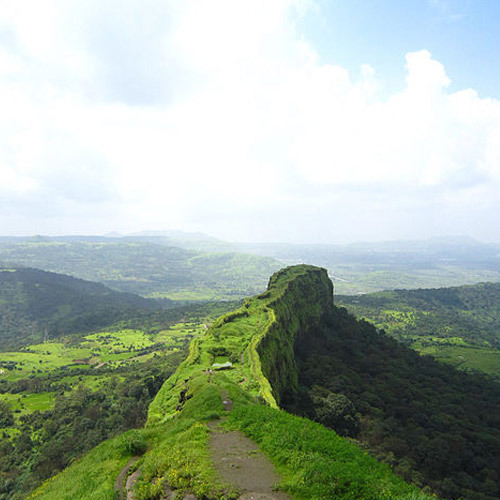 Harihar Fort is a fascinating shape and will make your feet itch to start climbing. From a distance, the fort is a flat-topped mass of land, while at the top, it is a three-sided plateau. The climb to the plateau winds through rain-soaked greenery and offers great views. The highlight, however, is the pinnacle at the top. You'll ascend a steep rock-cut staircase, with handholds worn into the rock. It's a thrilling climb, especially on a rainy, windy day! 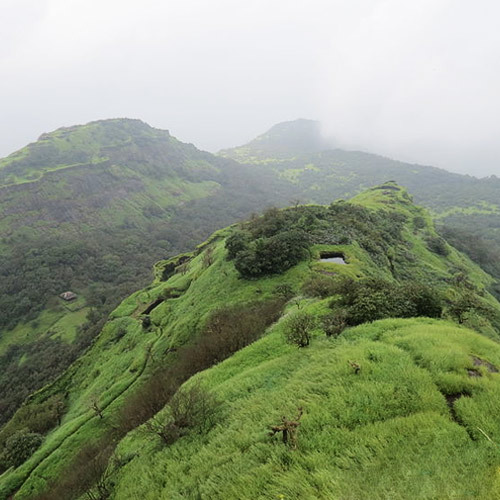 If you're looking for a real challenge, take on a 75-degree incline on this trek to Harihar Fort! The fort lies on a triangular rock, with the trail taking you up a steeply sloping staircase. In any season, this is a hard trek, but in the monsoon, the draining water, the forceful winds, and the moss-covered steps make this a thrilling adventure for even experienced trekkers. The 3,676 ft elevation gives you spectacular views all around, making for an unforgettable trip. On this trek to Harihar Fort, you’ll climb up to an elevation of 3,600 feet as you hike through shrub forests and farms on mountain slopes. But the highlight of this trip is the last stretch of the trail when you’re faced with a steep staircase carved into the rocks of the fort. 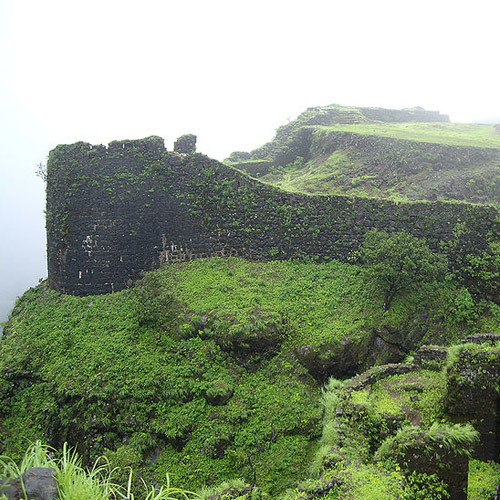 A steep and adventurous climb, you’ll take the rock-cut stairs for over 200 feet to reach the Harihar Fort. Upon reaching the fort after a 3-hr trek, you’ll catch spectacular views of the Phani Hill, Brahma Parvat and the mountains near Trimbakeshwar and views of Vaitarna. This trek will lead you over a well-defined trail of relatively moderate to easy difficulty, making it perfect for fit beginners as well as experienced trekkers.